This week we’ve got a great deal just in time for Valentines Day, we’re offering free Thorntons Continetal Chocolates after cashback! All new members need to do to claim this deal is follow the steps below! New members purchasing Thorntons Continental get their money back. All new members have to do to claim their free Chocolates is follow these four easy steps! 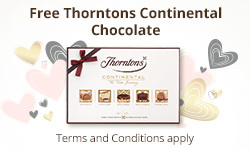 Click 'Get Cashback' to go through to Thorntons website and purchase your 142g Continental Chocolates. 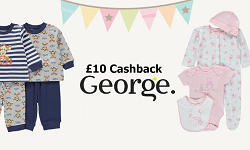 New members can enjoying giving the perfect Valentines gift knowing they'll be recieveing 100% cashback. the cashback to their bank account! 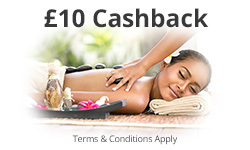 This week we’ve got a great new member deal, we’re offering £10 cashback at The Body Shop! All new members need to do to claim this deal is follow the steps below! 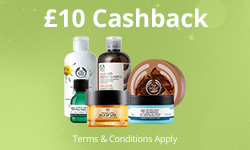 All new members have to do to claim their FREE £10 cashback at The Body Shop is follow these four easy steps! 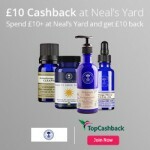 Click 'Get Cashback' to go through to The Body Shop website and shop as you usually would. 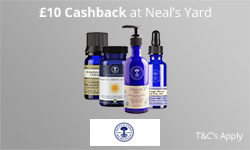 Members can enjoy naturally-inspired skincare, body care & make up, knowing they'll be getting £10 cashback. We hope you are well and having a great week. This week we're celebrating Chocolate Week in style. 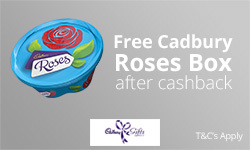 We are offering our new members a free Fireside Thorntons Chocolate Box after cashback. As always, it would be awesome if you could promote us. Please see below for more details. Free Thorntons Chocolate Box after Cashback! All new members have to do to claim their Free Thorntons Choclate Box is follow these four easy steps! New members click 'Get Cashback Now' to go through to Thorntons and purchase as they normally would. We hope you are well and had a great weekend. 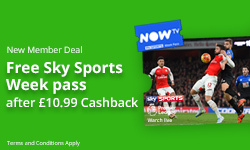 This week we have a deal perfect for all those football fans. New members can get £10 cashback when purchasing FIFA 17 with Zavvi. As always, it would be awesome if you could promote us. Please see below for more details. £10 Cashback on FIFA 17 purchases! 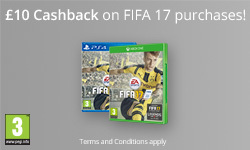 New members purchase their FIFA 17 from Zavvi and get £10 Cashback! All new members have to do to claim £10 Cashback on FIFA 17 is follow these four easy steps! 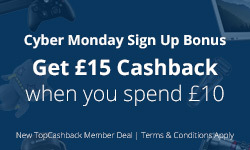 New members click 'Get Cashback Now' to go through to Zavvi and purchase their FIFA 17 as they normally would. New members can enjoy a game of FIFA 17 knowing they'll be recieving £10 Cashback. This week we’ve got a beautiful new member deal. 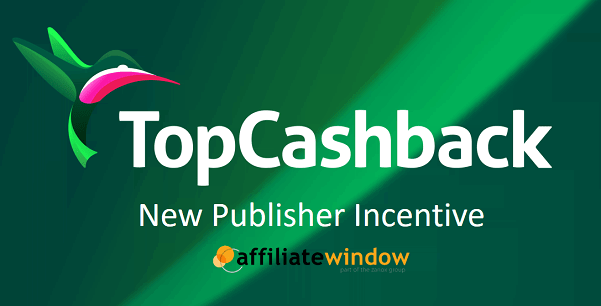 We're offering new members signing up to TopCashback a free W7 Glam Box after cashback. The Glam box consits of three of the W7 classics; Midnight 6 Eye Colour Pallet, In The Buff 12 Colour Eye Pallet and The Cheeky Trio! All new members need to do to claim this deal is follow the simple steps below! 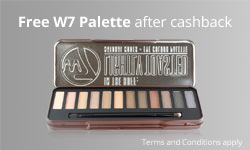 Free W7 Glam Box after Cashback! New members purchase their W7 Glam Box through Fragrance Directand get the money back. All new members have to do to claim their FREE W7 Glam Box after Cashback is follow these four easy steps! 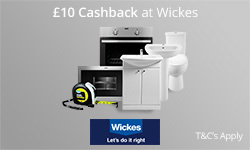 New members click on the banner above and sign up to TopCashback; this will take them to the offer page. New members click 'Get Cashback Now' to go through to Fragrance Direct and purchase their W7 Glam Box as they normally would. Members can enjoy listening to their favourite songs knowing they'll be getting 100% cashback. TopCashback New Member Deals- Free copy of 'Marry Berry Cooks'. 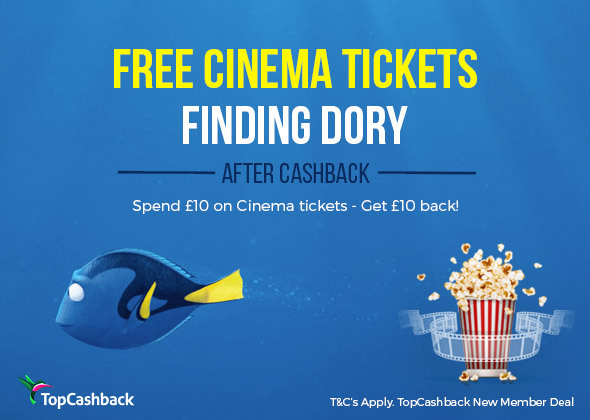 This week's New Member Deal at TopCashback is a showstopper! With The Great British Bake Off returning for it's the seventh series tonight, we're offering all inspired bakers a free copy of 'Mary Berry Cooks' after cashback. This book is filled with Mary's helpful tips and recipes. All new members need to do to claim this deal is follow the simple steps below! Free 'Marry Berry Cooks' Cookbook after Cashback. Purchase your book and get 100% Cashback! All new members have to do to claim their FREE 'Mary Berry Cooks' Cookbook is follow these four easy steps! New members click 'Get Cashback Now' to go through to BookPeople.co.uk and purchase their 'Mary Berry Cooks' Cookbook as they normally would. 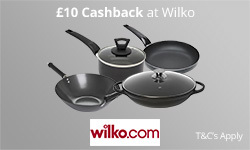 Members can enjoy baking their favourite recipes knowing they'll be receiving 100% cashback! 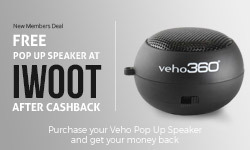 TopCashback New Member Deals- Free Veho Pop Up Speaker from IWOOT after Cashback! This week we’ve got a new member deal perfect for any music fan. We're offering new members signing up to TopCashback a free Veho 360 Rechargeable Pop Up Speaker after cashback. These speakers are small and lightweight and can simply be plugged into your iPod, iPhone or MP3 player! All new members need to do to claim this deal is follow the simple steps below! Purchase your Veho Pop Up Speaker and get your money back! All new members have to do to claim their FREE Veho Pop Up Speaker is follow these four easy steps! 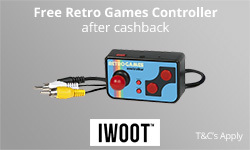 New members click 'Get Cashback Now' to go through to IWOOT and purchase their Veho Pop Up Speaker as they normally would. 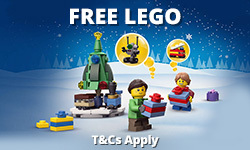 This week we've got a magical new member deal! 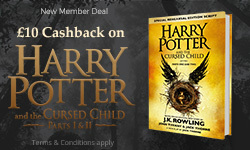 We're offering £10 Cashback on purchases of Harry Potter and the Cursed Child Parts I & II Officail Script Book! This book comprises of two versions of the script where readers can find out the fate of Harry and his three children. All you need to do to claim this amazing deal is follow the steps below. Be quick, though, this deal won't last forever! 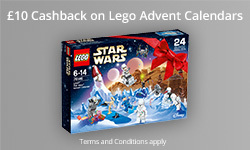 Spend £10 on your Special Edition Script get £10 cashback! All new members have to do to claim their Harry Potter and the Cursed Child Script Book is follow these four easy steps! Click 'Get Cashback' to go through to WHSmith and purchase your Limited Edition Script. 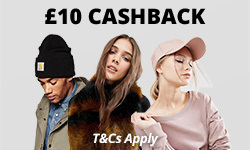 Enjoy hours of reading knowing you'll be recieving up to £10 Cashback! In the month of August we have a special incentive for new publishers who join our affiliate program! Hurry, start promoting TopCashback today! Sign up to the programme». To be eligible for the bonus payment, new publishers must apply, be accepted on the programme and generate the new members (Merchant ID 2459) between 01/08/2016 and 31/08/2016. 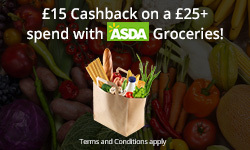 Sign ups must be generated in line with the TopCashback Affiliate Programme terms and conditions. For the avoidance of doubt, this means that sign ups may not be generated using incentivised traffic and the campaign must not be brokered/ sub-brokered out. TopCashback reserves the right to decline any sign ups that have come from sources which breach the terms and conditions. We look forward to working with you and welcome any questions you may have. To contact us, please contact Ben or Emily on the details below. We pride ourselves on our loyal member base and positive independent feedback.